Roderic Stanley (Stan) Dallas DSO, DSC & Bar (30 July 1891 - 1 June 1918) was an Australian fighter ace of World War I. His score of aerial victories is generally regarded as the second-highest by an Australian, after Robert Little; however there is considerable dispute over Dallas's exact total. While his official score is commonly given as 39, claim-by-claim analyses list as few as 32, and other research credits him with over 50, compared to Little's official tally of 47. Like Little, Dallas flew with British units, rather than the Australian Flying Corps. Beyond his personal triumphs in combat, Dallas achieved success as a squadron leader, both in the air and on the ground. He was also an influential tactician and test pilot who trialled the latest British aeroplanes and flying equipment. His service spanned almost the entirety of World War I fighter aviation. Born on a remote property in rural Queensland, Dallas showed an early interest in aviation. He travelled to England at his own expense following the outbreak of World War I and became a pilot in the Royal Naval Air Service (RNAS) in August 1915. Initially seeing action with No. 1 Naval Wing on the Western Front in Caudrons and Nieuport 11s, he was chosen to test one of the earliest Sopwith Triplanes. This became his favourite type, and he achieved many victories with it through 1916-17, earning the Distinguished Service Order, and the Distinguished Service Cross and Bar. Appointed Commanding Officer of No. 1 Squadron RNAS (formerly No. 1 Wing) in June 1917, he transferred to the newly established Royal Air Force on 1 April 1918, taking charge of No. 40 Squadron. Flying Royal Aircraft Factory S.E.5s, he achieved further victories before being killed in action on 1 June 1918 while on patrol near Li�vin in northern France. He was buried in Pernes. Stan Dallas was born on 30 July 1891 at Mount Stanley station outside Esk, Queensland, to labourer Peter MacArthur Dallas and his wife Honora. Mount Stanley was an isolated property, and journeys to and from Esk were long and infrequent; Stan was the first Caucasian child born at the station. His family moved to Tenterfield, New South Wales, soon after the birth of his younger brother in 1893. They returned to Queensland in 1898, settling in Mount Morgan, where Peter Dallas became a shift boss at the local mines. Stan attended Mount Morgan Boy's School from February 1899 and eventually joined its cadet corps, rising to Sergeant. At school he was noted for his intelligence, ability to get along well with others, and quiet sense of humour. He enjoyed the outdoors, and spent many hours in the mountains behind his family's home, observing birds of prey. In July 1907, Dallas joined the assay office of the Mount Morgan Gold Mining Company, and also enrolled in the local technical college, where he took night classes in chemistry and technical drawing. He showed an early interest in aviation, fuelled by the establishment in 1911 of the Mount Morgan chapter of the Queensland Aero Club. Dallas and his younger brother Norvel built a glider, which was wrecked by an untimely gust of wind the first time they tried to launch it. The two brothers continued to build model gliders after this initial disaster, however, and Stan corresponded with pioneer aviators in France, England, and the United States. He later transferred to a higher-paying job driving trucks for Iron Island ironstone quarries. Stan and Norvel once again built their own flying machine while Stan was working on Iron Island. They experimented with this seaplane on nearby Marble Island, notorious for its treacherous waters; Stan lost this aeroplane in the sea. At 1.88 metres (6 ft 2 in) tall, and weighing 101 kg (220 lb), Dallas would later surprise observers with his ability to fit into the cramped cockpits of fighter planes. Despite his size, he was considered a fine athlete with quick reflexes. Although he could project a loud speaking voice, he was generally soft-spoken and was not known to curse or drink alcohol, nor often to smoke. Dallas stayed fit through regular exercise at the gym, and played rugby union football. He had exceptionally keen eyesight, which he had trained by reading small print in newspapers at the six-foot length of his family's table. To balance out athletics, he participated in amateur theatrics, where his strong voice served him well. Dallas joined the Port Curtis Militia in 1913, and was commissioned as a Lieutenant prior to the outbreak of World War I. Believing he had little chance of gaining a place in the newly established Australian Flying Corps, he applied to join the British Royal Flying Corps (RFC), but was rejected. Undaunted, he travelled from Queensland to Melbourne, where he impressed Minister Without Portfolio J.A. Jensen. Jensen gave the young aspirant a letter of introduction to the Australian High Commissioner in London, Sir George Reid. Dallas paid his own passage to England and, once there, applied again to the RFC. Rejected again, he turned to the Royal Naval Air Service (RNAS) and was accepted, topping the entrance examination over 83 other students. He was commissioned a Flight Sub-Lieutenant and began training at Hendon in June 1915, gaining Pilot's License #1512 on 5 August. On 3 December, he began flying combat missions in Dunkirk, France, as a member of No. 1 Naval Wing (later redesignated as No. 1 Squadron), which operated two-seat Caudrons and single-seat Nieuport 11s. Early in his career with No. 1 Squadron, a practical jokester imitating the squadron's Commanding Officer telephoned Dallas, who was the duty officer, and peremptorily ordered him to take off in a propellerless Breguet. Upon learning that he had been tricked, Dallas joined in the laughter. He not only accepted the resulting nickname of "Breguet", but also used it as a signature on his letters home later in the war. Having made two unconfirmed claims in February 1916, Dallas scored his first confirmed victory on 23 April. He outmaneuvred a German Aviatik C and shot it out of control, following his victim down to 2,000 feet, though heavy anti-aircraft fire holed his plane in several places. He went on to score three more confirmed victories with his Nieuport. On 23 June 1916, Dallas took delivery of the newest RNAS fighter, Sopwith Triplane #N500. This was the original prototype, having undergone Admiralty trials before being shipped to France. Though still only a test plane, it was flown into combat 15 minutes after its arrival. Dallas named it Brown Bread, and it was the first of a series of 'Tripes' that he would fly and fight in over the next year. He won his first victory with Brown Bread on 1 July, the same day he was promoted to Flight Lieutenant. Three days later, he was recommended for further promotion. 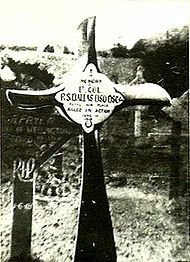 He scored his last Nieuport-mounted 'kill' on 9 July, earning the Croix de guerre and a Mention in Despatches for coming to the aid of a French Maurice Farman biplane. On 7 September 1916, Dallas was awarded the Distinguished Service Cross, "for the specially gallant manner in which he has carried out his duties" since first seeing action in December 1915. By the end of the year he was among the earliest RNAS aces, with eight confirmed and four unconfirmed victories, and had been raised to the rank of Flight Commander. Dallas became one of the best-known pilots of Sopwith Triplanes in the RNAS. He opened 1917 by setting an altitude record of 26,000 feet in the Triplane while testing a prototype oxygen set; he endured frostbite and oxygen intoxication in the process. By now No. 1 Squadron had totally re-equipped with production Triplanes. It also shifted airfields from Veurne in Belgium to Chipilly in France, leaving behind RNAS control by transferring to No. 14 Wing, 4th Brigade of the RFC. Formation flying became the order of the day, as the practice of fighter pilots soloing into combat dwindled. The last three weeks of March were also filled with Dallas's responsibilities for flight and gunnery testing. As British losses in the air began to mount during Bloody April, Dallas and his squadron moved airfields once again, to La Bellevue. They were thus positioned to take a prominent part in the subsequent Battle of Arras, where the intense aerial fighting saw Dallas add to his burgeoning score. The combat of 23 April became known as one of the classic air battles of the war. Dallas and his wingman Thomas Culling took on a squadron-sized formation of 14 German aircraft, having gained an altitude edge over their foes. The naval aces exploited this edge by making quick diving attacks from opposite sides, culminating in short bursts of machine-gun fire. Using the Triplane's superior climbing ability, they would then bob back up to position themselves for the next assault. In contrast to the usual hit-and-run tactics of most dogfights, the RNAS duo launched at least 20 gunnery runs over 45 minutes. The Germans were forced progressively lower, into disarray, and then chased back over their own lines. While they shot down three of the Germans, Dallas and Culling also achieved a more important outcome by blocking and then breaking up a determined enemy effort against the British ground offensive. The action led to the award of a Bar to the Distinguished Service Cross for Dallas, and a Distinguished Service Cross for Culling, which were gazetted on 29 June. By June 1917, Dallas had achieved over 20 victories in aerial combat. This experience, and his leadership ability, led to his appointment as Commanding Officer of No. 1 Naval Squadron on 23 June 1917. The unit had been forced to cut back its operational strength from 18 aircraft to 15 due to lack of pilot replacements and a shortage of spare parts for the aging Triplanes. It had also moved airfields, to an unprepared site at Bailleul. As a leader, Dallas made a point of shepherding new pilots through their first flights, and even setting them up with their first victories by manouvring enemy aircraft into a good position for the rookie to take a shot. On the ground, he proved to be an efficient organiser, designing and directing construction of the new air base. It was also during this time that he wrote a treatise on air combat tactics, extracts of which have survived. Both the air base layout and the treatise displayed his talent as a sketch artist. On 2 November, No. 1 Squadron moved airfields once more, to Middle Aerodrome, which put it back under overall RNAS control. 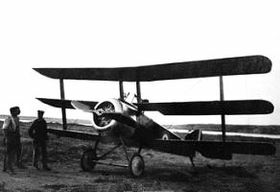 The unit received its first eight new Sopwith Camels on 9 November as replacements for the Triplanes. On 11 November, Dallas was again Mentioned in Despatches, this time by Field Marshal Haig. After gaining its full complement of Camels, No. 1 Squadron was transferred to England, and took up home defence duties at Dover. On 16 February 1918, Dallas led his squadron back to France, where it was based at T�teghem, supporting units on operations along the Belgian coast. He commanded it for another six weeks, until 31 March. As part of the amalgamation of the RFC and RNAS to form the Royal Air Force, on 1 April 1918 Dallas was promoted to Major and given command of No. 40 Squadron RAF, flying Royal Aircraft Factory S.E.5s. The squadron boasted a number of aces in its ranks, and its former RFC members were suspicious of Dallas's naval background. However, he was able to overcome their misgivings and established himself as the new CO with his personal demeanour and courage; the nickname of "Admiral" that they bestowed upon him was an affectionate one. Ten days after taking over, he had adapted well enough to his new mount with its inline engine to score his first victory with his new unit. His men also saw that he would not only look out for his rookie pilots, but would not shirk the dangers of ground attack sorties. His offhand attitude toward two leg wounds he received during a strafing mission on 14 April, after which he made "a perfect landing", especially impressed his subordinates, as did his appreciation of all ranks for their hard work. His studious bent continued to serve him; he kept notes on his methods of attacking enemy aircraft, which often exploited their structural weaknesses, and used them to tutor pilots under his command. 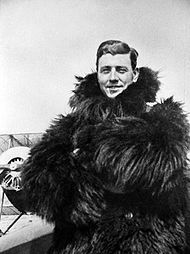 Dallas was briefly hospitalised with the wounds to his thigh and heel on 14 April, but snuck out four days later to rejoin his squadron. His departure may have been spurred by news of the capture of his friend Richard Minifie. As soon as he was able, Dallas was flying again. By 26 April, he had increased his official score to 37, and been awarded the Distinguished Service Order for operations at Dunkirk. He had also several times been recommended for the Victoria Cross, but it was never approved. His casual attitude towards claiming victories was noted by a member of No. 40 Squadron, Cecil Usher, who related that Dallas once remarked of an opponent, "...he went down belching a lot of black smoke and after he had gone down someways one of his planes came off, but I didn't see him crash so I shan't claim him." On 2 May, during a lull in the fighting at Flanders, Dallas took off in his S.E.5 to engage in a taunting practical joke on his foes. He strafed the German base at La Brayelle to "attract attention" before dropping a package on the aerodrome with a note reading, "If you won't come up here and fight, herewith a pair of boots for work on the ground, pilots for the use of". He then circled in mist until troops came to examine the bundle, whereupon he dropped two bombs and again shot up the base, causing "general panic". News of this singular exploit reportedly provoked laughter from Field Marshal Haig and RAF founder General Sir Hugh Trenchard, two men not known for their sense of humour. While adding to his score and leading his squadron into combat, Dallas had begun thinking beyond the war. He was pleading with his father to quit the dangerous job of mining, with hints that he would support his parents by pioneering aviation in Australia. He also harboured a long-standing ambition of flying from England back to Australia, which would be a record-setting journey. The world is upside down ... Dallas has been killed ... Too good for this world I suppose. Roderic Dallas had become almost a legendary character in the RNAS. He was a pilot of quite extraordinary skill, a fighting man of astonishing gallantry, a humorist of a high order, and a black-and-white artist of unusual ability. But, above all this, he was a great leader of men. 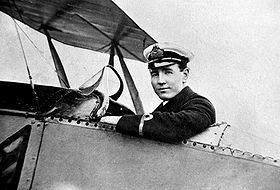 To be in Dallas’ squadron was quite one of the highest honours open to a young fighting pilot of the RNAS and the high reputation held by certain of the RNAS squadrons operating with the RFC during the past year or two has been largely due to the training, example and leadership of Roderic Dallas. For his record in aerial combat and his leadership skills, Dallas has been compared to the "Red Baron", Manfred von Richthofen. The former flew combat for 29 months, and the latter for 31 months, if his three months in hospital are deducted. Dallas successfully led two different squadrons during his career, and was killed just before assuming command of a wing. Richthofen led first a squadron, then a wing during his 12 months in command, again excluding hospital time; he achieved more victories, but had the tactical advantage of fighting over his own lines with the wind in his favour. Dallas flew a score of different types of Allied aircraft, as well as captured German planes; he was also instrumental in developing the Sopwith Triplane. 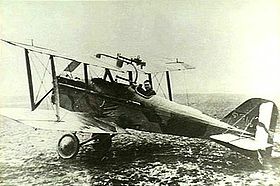 Richthofen flew the Fokker copy of the Sopwith, and helped develop the Fokker D.VII, but did not live to fly it into battle. Stan Dallas was buried at the Pernes British Cemetery, France, in Lot 38, Row E of Plot II. In addition to his military decorations, he was honoured with a Gold Medal by the A�ro-Club de France, and a Bronze Medal and Diploma by the Aero Club of America. The town of Toogoolawah, Queensland, commemorated him in the name of its airport, and the national capitol of Canberra remembered him with Dallas Place. His home town of Mount Morgan has dedicated a water reservoir in his honour; its Historical Society Museum holds his medals, uniform, and sword, as well the propeller from one of his planes. Historians have struggled to develop a definitive list of Dallas's victories; Adrian Hellwig, in the bibliography to his 2006 biography, lists over a dozen previous historians that have investigated the subject. He also refers to his difficulties in reconciling previous accounts. While various claim-by-claim analyses ascribe Dallas a score of 32 aircraft shot down, he was officially credited with 39, and with being second only to Robert Little-who was credited with 47-among Australian aces. However, Dallas's unofficial tally has been estimated at over 50. This list is a compilation of claim-by-claim analyses that follow, as much as possible, the British system of confirming victory: pilot log entries and/or combat reports did not count, unless verified by squadron or higher levels of command. Thus, inclusion of a confirmed victory in this list has depended on verification by the Squadron Record Book, and/or by RNAS/RAF Communique or other reliable secondary source verification. Victories not confirmed by these methods are marked "u/c". Firkins, Peter C. (1980). The Golden Eagles. Oxford: St. George Books. ISBN 978-0-86778-001-7. Franks, Norman R. L. et al. Above the Lines: The Aces and Fighter Units of the German Air Service, Naval Air Service and Flanders Marine Corps 1914 - 1918. Grub Street, 1993. ISBN 0-948817-73-9, 9780948817731. Franks, Norman (2000). Nieuport Aces of World War 1. Oxford: Osprey. ISBN 1-85532-961-1. Franks, Norman (2007). SE5/5a Aces of World War 1. Oxford: Osprey. ISBN 1-84603-180-X. OCLC 84151449. Garrisson, A.D. (1999). Australian Fighter Aces 1914-1953. Fairbairn, ACT: Air Power Studies Centre. ISBN 0-642-26540-2. OCLC 52604027. http://airpower.airforce.gov.au/Publications/Details/220/Australian-Fighter-Aces-1914-1953.aspx. Hart, Peter (2007). Aces Falling: War Above the Trenches, 1918. London: Weidenfeld & Nicolson. ISBN 978-0-297-84653-6. Hellwig, Adrian (2005). Australian Hawk Over the Western Front: A Biography of Major R S Dallas DSO, DSC, C de G Avec Palme. Fyshwyck, ACT: Grub Street. ISBN 978-1-904943-34-1. Shores, Christopher (2001). British and Empire Aces of World War 1. Oxford: Osprey. ISBN 1-84176-377-2. OCLC 464318884.